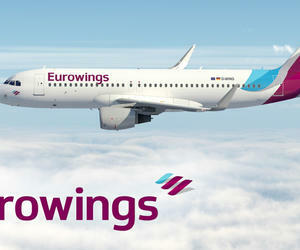 German airline Eurowings will start operating from tomorrow in Havana, which ratifies the bet of that European country for Cuba destination, stated the Cuban Tourism Ministry (MINTUR by its Spanish acronym). According to a press release, the flight will have a week frequency, on Thursdays, following the route Koln-Bonn-Havana and it will be in an Airbus A330, with capacity for 298 passengers. This new path joins the three others already implemented to Varadero, which will be a positive contribution for the development of German market in Cuba, MINTUR said. The flight will take off from Konrad Adenauer international airport at 23:05 (German time) and will land in the Cuban capital at 16:50 (Havana time). By the end of the first semester of this year, Germany appeared 4th in the list of leading tourists sources to the Caribbean island with 125 438 travelers, with a growth of 44.8 percent when compared with the same period of 2015, according to the National Office of Statistics (ONEI by its Spanish acronym). That European nation also ranked second last year when Cuba set a record in arrival of international tourists with 3 524 779 vacationers.